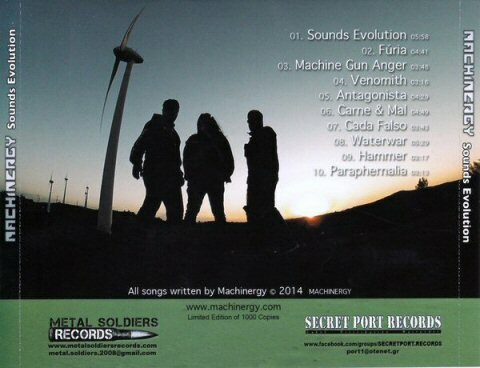 Machinergy is a three-piece Death/Industrial/Thrash Metal band from Portugal. Sounds Evolution is their first, full length album. The album contains ten tracks. The title track, Sounds Evolution, leads us off. A dark, sinister riff gives way to a guttural growl, and slow, steady double bass drumming. Then it picks up speed and settles into a Thrash style riff, with shouted vocals. 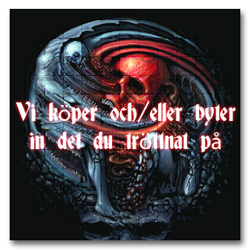 Stylistically it is somewhere between the worlds of Death and Thrash Metal. Furia continues in the same vein, though the vocals are a bit lower, more powerful and tortured, as does Machine Gun Anger. If they are not careful here, the album is in danger of running together. Cautiously, the chords are all built in the key of low E, which gives a semblance of too much uniformity. Fortunately, Venomith begins with some atmosphere, and a little more spirit behind the riffing. The key remains the same however, and even the pacing is very similar. Antagonista completes the half-way mark on the album, and so far, only the vocal style carries any variance to their sound. Carne and Mal is once again born from the same key and pace, while Cada Falso has a little more punch and accentuation, with a thicker chorus. Waterwar hints at a Middle Eastern sound with the opening, but falls right back to the same key. With Hammer, however, they were able to work in a little more variegate to the sound they have presented thus far. It is an instrumental, and the hard driven riff does indeed sound like a hammer pounding away in fury. Paraphernalia closes the album, with a Russian dancing jig at the beginning. We are once again back to the key of E. Though the riff in the verses is fairly trite, I do enjoy the part where the chord progression goes down and down in a running riff. I realize that a lot of Death and even Thrash Metal can be rather unforgiving in terms of stylistic limitations, but there are plenty of bands in the genre who have found ways to claim their own, expanding and dynamic sound within thousands of their peer groups. 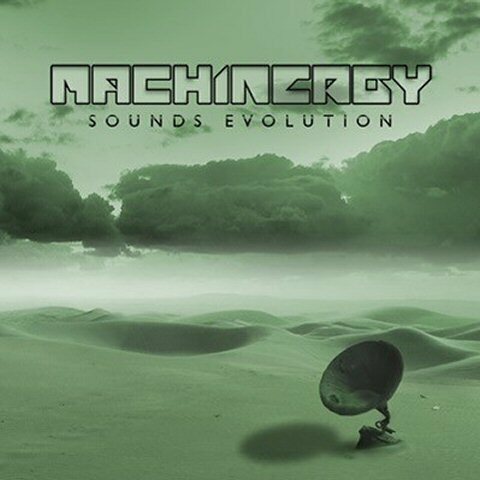 With Machinergy, it really sounds like the band found a formula for composition that they like, and applied it consistently to the album as a whole. There is very little stretching here. I am not expecting them to change their sound from one track to the next, but the lack of diversity here is glaring, in my opinion. The musicianship and brutality is just fine, they just need to work on some originality.